Recipe & Shopping List Organizer iShopNCook app is released! I woke up this morning to find my app already released and at the top of the new apps in the Food&Drink category! Cookbook Plus module: This is a subscription that allows you to synchronize with Shop’NCook Menu and Shop’NCook Pro software and with the Direct Access recipe database. If you have been using Shop’NCook Lite app, you need to purchase a subscription to transfer your recipes from the Direct Access recipe database to iShopNCook app. Import/Export module: This module allows you to import and export cookbooks. With this module, you can import your cookbooks from Shop’NCook software and exchange cookbooks with other users of the app. Note that to export your cookbooks from Shop’NCook software to iShopNCook, you need to install the latest version of Shop’NCook. Grocery Plus module: This module gives you access to advanced shopping list functions. It allows you to define several supermarkets and sort your shopping list along the aisles of the supermarket you are in, and it unlocks the pantry, barcode scanning, price comparison and purchase history. Once you have purchased the modules Grocery Plus and Import/export, you can enable them on all your devices by taping on “Restore Purchase” on the in-app purchase screen. The Cookbook Plus module will be similarly enabled on all your devices for the length of your subscription. Note that I have lowered the prices of all the modules for the launch period. The prices will go up in a few days. I plan to release soon a web application (i.e. an app that runs on the Internet). It will run on Android and other smart phones and will allow Shop’NCook software users to take their recipes with them everywhere with Shop’NCook’s cloud synchronization. A native Android app will follow at a later time. What about Shop’NCook Lite app? Shop’NCook Lite was my first attempt to make an iPhone app. 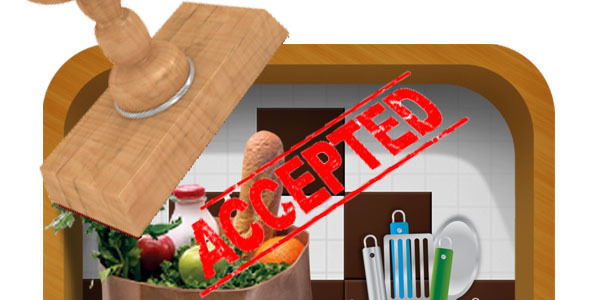 It only gives access to the recipes of the Direct Access recipe database. I never expected it to have so much success and designed it to contain only a few thousands recipes. The database has now over 40000 recipes (!) and is becoming increasingly slow. I love that so many people have shared their recipes and I want to continue to support and improve Shop’NCook Lite, but I need to redesign it completely from the ground up to improve its usability. I will try to find the time sometime soon. Contrary to Shop’NCook Lite, iShopNCook organizes your own recipes privately, without sharing them on a public database. It gives you fast access to your recipes and has advanced search and shopping list capabilities. If you have been using Shop’NCook Lite, you can easily import all your recipes from the Direct Access recipes database into iShopNCook by using the synchronization function of the Cookbook Plus module. I hope you will enjoy using iShopNCook. Go ahead and download it now! I would love to have your feedback on my app. Please, tell me what you think in the comments below. Also, if you like iShopNCook, please help spread the word by leaving a review in the App Store. You can write a review by taping on the loudspeaker on the main screen of the app and selecting “Rate This App” – that would be a great help! PS: Don’t forget to take advantage of the launch discount for the in-app purchases! I’ve spent a lot of time building the database of a store with many items. Can I import the database from a MacBook Pro? If not I think you missed the mark with the import/export feature. It’s not yet possible to import supermarkets in the app. Maybe in the next update? Love the app, but unfortunely the cost for the additional items will prevent me from using the app. But I will continue to use the other app and reader. Thanks so much for having the other options as well. You can use iShopNCook for free! This includes importing your recipes from Shop’NCook Reader. You can export them one by one from Shop’NCook Reader and add them to the app in iTunes. The Import/Export module is not necessary. It only gives you more convenience by allowing you to import whole cookbooks at a time. Although I appreciate any support, as it helps me develop better apps and software, I have tried to make sure that the free version is a complete and great app in itself. Am I able to import my shopncook recipes from my mac computer at home? If so, how? You have two ways of importing your cookbooks into iShopNCook app. First, you can export them in XML format and add them to the app in iTunes. You can just install the new version on top of your current installation. This update is free if you are using version 4.0. To import the cookbooks into the app, you will need however to purchase the Import/Export module in the in-app purchase. Second, if you have Shop’NCook Pro or Shop’NCook Menu, you can use the cloud synchronization to transfer your cookbooks to iShopNCook. To use this option, you need to get the Cookbook Plus module in the in-app purchases. Please release an Android App as soon as possible. Here in Canada Androids are roughly 70% of the market. Thank you!!! The app looks interesting but I don’t care for the pricing structure. I have about 40 apps and haven’t paid that much for any of them. So I won’t be using the mobile app. 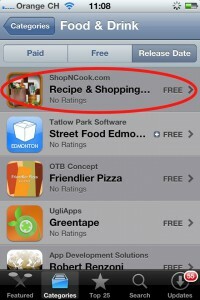 You can use the app for free, including importing all your recipes from Shop’NCook software! For the Cookbook Plus subscription, I unfortunately cannot make it less: I need to pay an external service for the OCR function (that is the function recognizing text from picture) for each page analyzed. If there is a large enough volume of requests, I will be able to lower the prices by investing in my own OCR engine, but meanwhile I have to be careful as I may actually lose money with the current prices. I’m very excited about this new app. One problem I’ve already run into, however, is syncing new recipes created using the app with my iMac. I tried to email the recipe to myself, but ShopNCook Menu gave me an error message when I tried to import the .scx file from the email attachment. How do you recommend syncing from an iPhone back to a computer? Syncing from my iMac to my iPhone was super easy, but I wish syncing wasn’t unidirectional! I will publish soon an update that will allow you to transfer your recipes back into the software and synchronize both ways. 2. or, a simpler solution, if you have the Import/Export module, export the whole cookbook to iTunes, just change the extension “.sxb” of the cookbook into “.scx” and you will be able to import its content into the software. Is it possible to enter an item to the pantry’s main data base? When I enter it in the shop list. The main category comes up miscellaneous. I would like it to come up in the category it belongs to. It is not yet possible to modify the mail item database on the app, but I plan to allow it in a future release. Thank you for the app. I am really confused about the modules. I have Shop N Cook Menu and I just want to have my cookbooks on my phone. I don’t use the online database. How do I do this? The Import/Export module will allow you to transfer all your cookbooks to the app via iTunes. A Cookbook Plus subscription will allow you to synchronize via the cloud. The difference between iTunes transfer and synchronization is that if you make a modification in a cookbook on the computer, you just need to tap on the synchronization button on the app to update the recipes of the cookbook. With the iTunes transfer, you need to connect the phone to your computer and transfer again the cookbook through iTunes to update the cookbooks. If you just want to transfer once your cookbooks to your phone and don’t need to update them often, the iTunes transfer is probably more flexible.. I exported my cookbook from the PC version of Shop n’ Cook to iShopNCook. All the categories of the recipes have been lost and they all appear under other. Is this correct or have I done something wrong? This is normal. The categories of iShopNCook do not correspond to the categories in Shop’NCook software. The categories in iShopNCook are fixed so that they can be shared by all the cookbooks and recipes. The next release of Shop’NCook software will support categories, difficulty and rating too. The “categories” in Shop’NCook software are called “tags” on the iPhone. The tags are not displayed at the time being, but you can search recipes by tag. this is only good for people that have those kinds of phones what about those of us that don’t have that kind of phone. Not everyone has one people only think everyone has one because they do. It is very flusterating that now stuff is being done for the app phones forgeting that there are people that don’t have and can’t afford a phone that accepts apps. It leave others out in the cold because they no longer get get or do certin things because they don’t have an app phone. Such as Great Clips it you want a coupon from them now you have to have a cell phone that accepts apps. That is a little like complaining that software only runs on computers. What about us on slide-rulers? Yes it is true that for a phone application to work you need to have a phone that can run an application. Not sure what your complaint is since one can obviously not create an application for a device that can not run applications. It’s not the developers fault you don’t own a device capable of running software. If your complaint was that it didn’t support your platform that would be an issue of sorts but since your phone doesn’t run any apps there is no way for anyone to “support” it. Do you have a cookbook in the Kitchen? If you don’t, then the app wasn’t correctly installed. You should delete it completely from your iPhone and install it again. After reinstalling, go the the in-app purchase and tap on “Restore Purchase” to get back the modules you purchased. Let me know if you still have problems! An update on my previous reply: it seems that this is not an installation problem like I thought initially, but a display problem when the app updates the display of the bookshelf. Apparently, it only affects a few users. I will publish soon an updated version with this problem fixed. Meanwhile, if you have it again, you can fix it by closing completely the app and start it again. I couldn’t reproduce this problem. Could you send me the recipe by email from iShopNCook so that I can check if there is a problem with the recipe itself? It happens with all of my recipies in iShopNCook, but they were synched from Shopncook Menu on my iMac. Where should I send the recipe to? Is there a way to add recipes from an existing picture on the phone? I can get a better quality pic with my camera than the phone (which usually doesn’t work well for OCR being iPhone 3s). No, it’s not possible (I didn’t think of it). I will add this option in the next release. I’m having trouble pushing my shopping list from ShopNCook Menu on my iMac to iShopnCook app on my iphone. To transfer the shopping list to iShopNCook, you need to upload it to the Direct Access database by clicking on the Earth button in the toolbar of the shopping list screen. You can then download it to the app by tapping in the round arrow button in the Shopping list view of the app. I purchased the Grocery Plus Module, specifically for the ability to scan items, but I cannot edit ANYTHING about the items. the icons for scan, price, tags, and whatever else are greyed-out and do not work. I have read through everything on here, and tried everything suggested. I have emailed both feedback and support, and not received an answer. I wanted to purchase the import/export module, but if I do not recieve an answer within a short time, I will be requesting a refund instead. You can add product information only on predefined items of the database. You cannot add product information to items in the miscellaneous category as they do not belong to the database. You have contacted me yesterday. I cannot usually reply on the same day because of the time lag (I am in Switzerland). 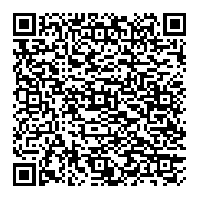 I am interested in the app for the android because the whole picture taking to scan in a recipe would change my world. Do you have any idea when this same capability will be available for the android? I don’t know when I will be able to release the Android app. I am trying to get it out as soon as possible, but I cannot give a date yet.